Standing on the UBC campus is Reconciliation Pole, carved by master carver and Haida Hereditary Chief James Hart. 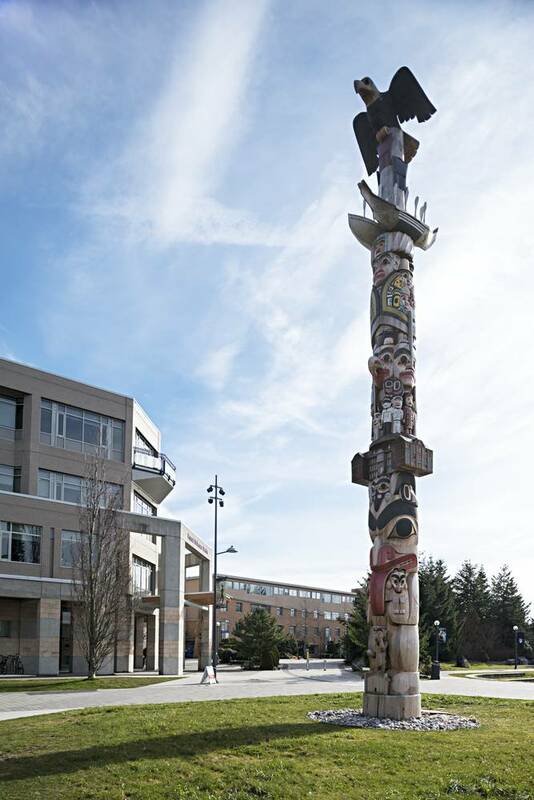 At over 16 metres tall, located on the traditional, ancestral, and unceded land of the Musqueam people, on the campus of the University of British Columbia (UBC), stands the recently installed Reconciliation Pole. The base of the pole depicts salmon swimming, with a protective mother bear and her cubs sitting above. Toward the centre of the pole is a residential school house. At the top sits a watchful eagle surveying the landscape. But, it is the centre of the pole that immediately catches your eye—carvings of children holding hands, representing the children who lost their lives at Canada’s Indian residential schools. Hart was jointly commissioned by the Audain Foundation and UBC to create the totem pole. The pole is meant to symbolize reconciliation, and to pay homage to the enduring hardships surrounding the existence of Canada’s Indian residential schools. According to the Truth and Reconciliation Commission of Canada, there were over 130 residential schools for Indigenous Peoples in Canada. The goal of these schools was “to eliminate parental involvement in the intellectual, cultural, and spiritual development of Aboriginal children.” This is what the Truth and Reconciliation Commission describes as cultural genocide. For Hart, Reconciliation Pole represents the hope for a better, brighter future. Reconcilation Pole at the UBC Vancouver Campus. When Hart received the commission, he began his search for the perfect carving tree. 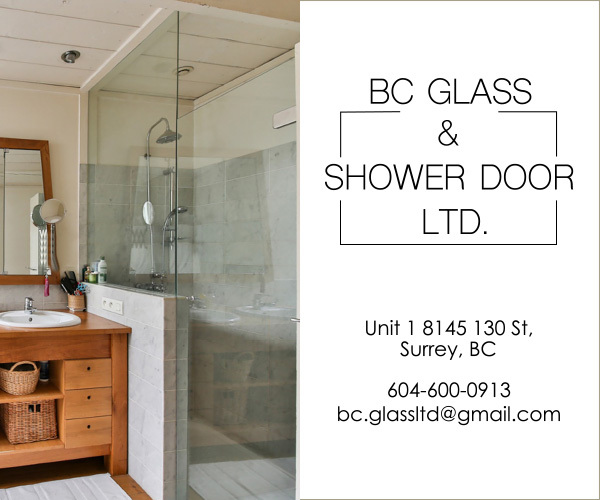 At his home on the islands of Haida Gwaii, in an area that had been logged out but where a handful of trees remained standing, the tree was spotted. It was a year-long search to find this special tree—a giant red cedar, over 800 years old, and with a wide top perimeter ideal for carving. Hart wanted the pole to honour the thousands of children who lost their lives at residential schools, and invite collaboration with other Indigenous artists across Canada. Hart and his team carved in rough outlines of the children, and Indigenous artists were commissioned to fill in the details. “I told each artist, ‘this is your piece.’ It was up to the artists to choose the one [they] wanted. Some were smaller, bigger, holding hands. They would come up with really nice ideas from their territory, their style of art form,” says Hart. Hart and his team spent over two years, including two winters working outside in the wind and rain, to complete Reconciliation Pole. 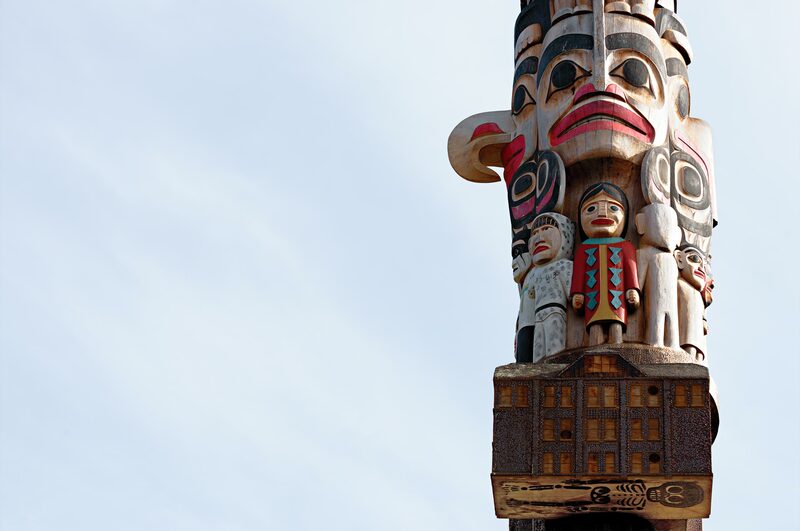 Upon completion, the pole was barged down to Vancouver from Haida Gwaii.